Looking for a Last Minute vacation deal? Belgium is the ideal Holiday destination for a short Last Minute Holiday with your family and friends! Our Holiday villages in Belgium have everything to make your Last Minute stay with us truly unforgettable. Discover De Vossemeren with two impressive lakes offering many water sports and a beach to relax on, or discover indoor activities such as the renovated BALUBA indoor play paradise at Erperheide. 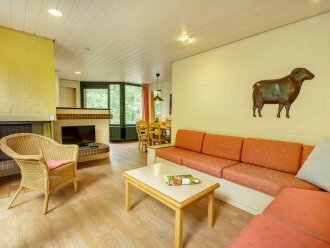 Book your Last Minute Holiday at Center Parcs in Belgium and enjoy a relaxing Holiday in Belgium.